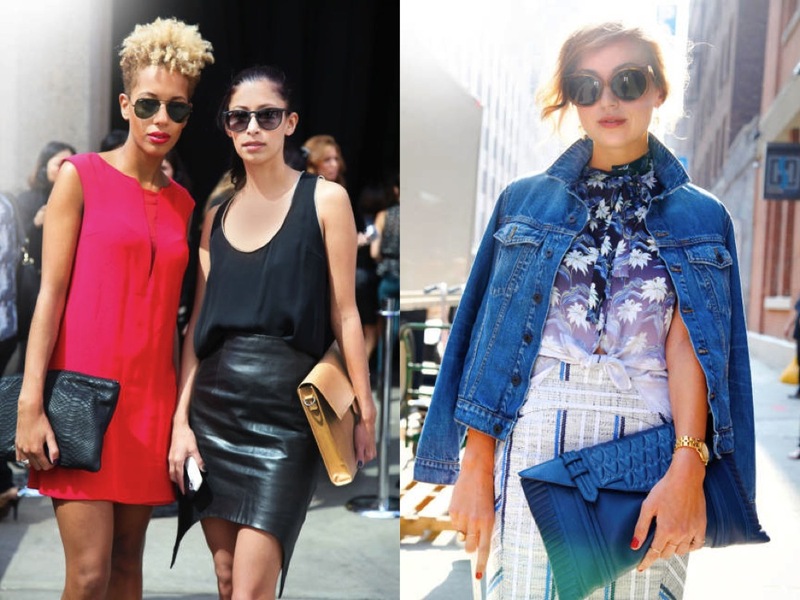 A number of chic accessory trends have emerged from the recent street style scene of spring 2013 fashion weeks, one of my favorite being day clutches. Big, bold, beautiful and the perfect way to say "I don't need two hands! I'm a lady of leisure." After seeing all of these fashionable ladies with their oversized day clutches, it's time to go buy one, yes? I'm not sure I can get away with making it through an entire day with just the contents of a clutch, but it is worth a try! 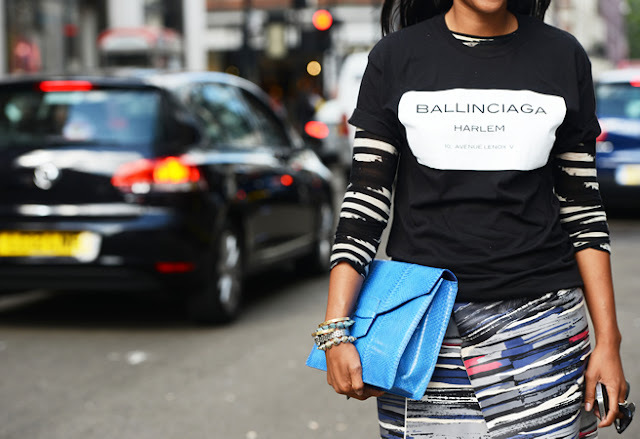 I love day clutches, I'm also loving the t-shirt over the dress look...must try. I love the idea of a huge day clutch instead of a purse. Especially when there are so many pretty options! Just found your blog and I love it! You have so many great picks! I am in love with the oversized clutch trend! I'll definitely be investing in some of these this season! In love with this style! Still looking to add one to my collection...trying to decide between a style similar to the Phillip Lim one that you picked and the envelope style...hmmmm. Bellissimo post! Complimenti per il blog! Haha..."I don't need two hands! I'm a lady of leisure!" Exactly what I think about these day clutches! I still love them though. I am iin love with these day clutches! I found some I fell in love with at Foreign Exchange. They aer so adorable and they do hold a lot! Also better for your shoulder and back! I love clutches in general. Adore the Clare Vivier one! 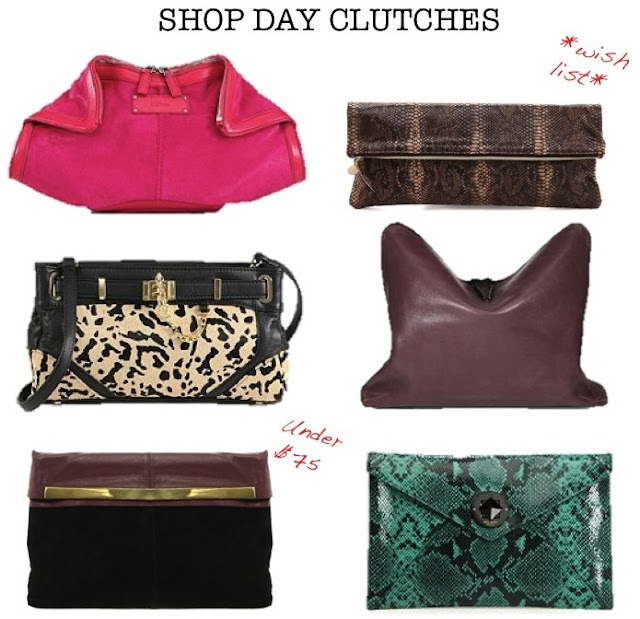 Love the clutches you picked! Im working on a handbag line right now and decided to start out with clutches. They're my favorite! Love them all, just gorgeous! I love that this is a trend again! I will be trying this soon, for sure. I like all of them! SO perfect! I adore clutches, so so many! like so much day clutches!!! !